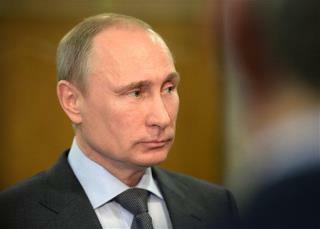 (Newser) – Vladimir Putin continues to be a busy boy in the wake of the Olympics. AFP reports that a Russian spy ship docked in Havana yesterday without explanation. The Viktor Leonov carries 200 sailors and is presumably chocked not only with high-tech weaponry but electronic eavesdropping equipment as well, notes the Daily Mail. Neither Moscow nor the Cuban government of Raul Castro has spoken of the ship publicly, a break from the usual protocol for warship visits. Watch for Israel to attack Syria while this is all going down. Good! Postpone buying timeshares on the Island of Freedom!